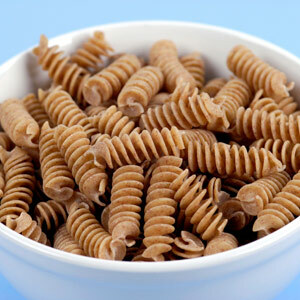 Whole Wheat Pasta. At Trader Joe’s Organic Whole Wheat pasta is pretty affordable at $1.29 per pound (although sometimes there are crazy sales on Market Basket brand, the standard cost of pasta is probably around $1/pound). It tastes good. It was an easy first change for us, because there wasn’t a huge difference in taste between white and whole grain pasta. Whole Wheat Couscous. Also from Trader Joe’s. It tastes good and you don’t feel deprived. This was our second change. Though I often (somehow) avoid couscous on our week’s menu. 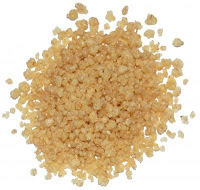 Quinoa-- a pretty complete protein source, is actually a seed, but it’s usually also considered a whole grain. We started eating it a couple of months ago. Eating quinoa just makes me feel like I'm living on the edge. Eating red quinoa makes me feel like I should be living in Cambridge and driving a hybrid with an Apple sticker (sorry guys, I'm totally not dissing you). Either way, it tastes like something between brown rice and cous cous, and makes a great base for sauce or frittata or anything you'd eat with rice. Polenta - made from Whole Grain Coarse Ground Cornmeal . It takes a while to make polenta from coarse cornmeal, but it tastes great. We also love our arborio rice for risotto. It's not a whole grain, but we're keeping it. Bread and pizza are the remaining outliers in our transition story. Over the past three years we started making all our bread in a breadmaker, thanks to a huge bulk order of yeast (Otherwise I'd most certainly forget to buy yeast). Given that we use the breadmaker and I'm proud of my French Bread rhythm, I actually don’t know how to make whole wheat bread from scratch. Over the next few months, I’m going to make bread without the bread maker, to get a sense of how to substitute the whole wheat flour effectively (before moving back to using the bread maker). My first quinoa-whole wheat flour loaf is currently in the kitchen, doing its rising thing. That said, fresh white bread is an innocent enough joy so I'll only make the switch if whole wheat bread tastes awesome. While I tend to write pretty functional tippy posts, I love blogs that pull off real, soulful, sharing. And I love Tamara-out-loud, discovered today, for being a Jesus follower and relatable at the same time.